15 posts categorized "Heather O'Connor"
I saw the Eagles play the PNC Arena in Raleigh a few weeks ago. You know… Hotel California. Desperado. Witchy Woman. It was a rocking show from a band—and a brand—that has been going at it for more than 40 years. I’m a huge fan and I wanted all my friends to know I was there. Which is why I was pretty disappointed to see signs at the security gate, banning phones, texting, photos and videos inside the arena. I thought it was a joke, but… no. The Eagles were dead serious and the arena staff was fully empowered to enforce the rules. Several times, I saw ushers scolding concertgoers, keeping them from posting selfies from this historic event. Come on, guys! Take it easy! Deepen existing client relationships – with each additional value-added service that you offer a client, they rely on you more heavily as their trusted advisor. Increase the firm’s bottom line with additional revenue streams. 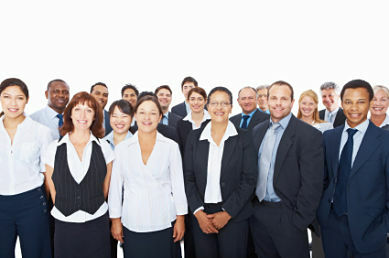 Retain staff – specialized services provide staff exposure to a wider array of assignments and fulfilling career paths. What is the Next Generation of CPA Firms? Join the new generation of CPA who is finding success by reimagining and recreating the traditional CPA firm for the 21st century at the 2013 Practitioners Symposium and Tech+ Conference in Partnership with the Association for Accounting Marketing Summit. Invent new client acquisition and relationship management systems. Attract, nurture and motivate the best talent. Get ready to renew your commitment – and be inspired anew – to transform your life, and the lives of colleagues and clients for the better. Are You Using Digital Signatures? Kicking off day two of the 2013 Practitioners Symposium and Tech+ Conference in Partnership with the Association for Accounting Marketing Summit is the session "What‘s in the Future for Digital Signatures?." Business in general, and the CPA profession specifically, have long sought a solution to the inefficiencies of ink and paper-based signatures. Has technology finally solved the problem or do we continue to wait? There are many popular “solutions,” but do they really solve the problem(s)? This session, presented by Erik Asgeirsson, CEO, CPA2Biz, a subsidiary of the AICPA, and Brian Fox, CPA, founder of Confirmation.com, will define the problems and compare and contrast some of the proposed solutions. (Email subscribers: See the live blog coverage on AICPA Insights). Earlier today, the AICPA announced the launch of the Financial Reporting Framework for Small- and Medium-Sized Entities. This session at the 2013 Practitioners Symposium and Tech+ Conference in Partnership with the Association for Accounting Marketing Summit covers AICPA Director of Private Company Financial Reporting, Robert Durak, CPA, CGMA, as he highlights key features and benefits of the Financial Reporting Framework for SMEs, as well as important accounting topics within the FRF for SMEs. You can find more information on the framework by following #MainStFinancials. (Email subscribers: See the live blog coverage on AICPA Insights). The 2013 Practitioners Symposium and Tech+ Conference in Partnership with the Association for Accounting Marketing Summit takes place June 10 to 12 in Las Vegas. I am live blogging from select sessions throughout the three days. The first session is "The Impact of Healthcare Reform on Small Business: New Taxes and the Cost of Healthcare and Insurance" with Mark Dietrich, CPA/ABV, of Framingham, Mass. Mark wrote a prelude on AICPA Insights which generated a lot of interest and conversation. This session covers the Accountable Care Act, which is the most significant and costly social spending legislation since the Great Society programs of the 1960s. Its impact extends beyond health insurance, and envisions a system of regulation and taxation that aims to restrict the impact that income has on access to healthcare, except the wealthiest top .1% (one-tenth of 1%) of taxpayers. (Email subscribers: See the live blog coverage on AICPA Insights). What’s the best advice to give virtually anyone starting a new job? Corey Cines, blogger with the AICPA’s This Way to CPA website, wrote “From Backpack to Briefcase: How I handled the jump into Public Accounting,” to offer his tips for starting life as a firm newbie. It’s excellent advice for any young CPA looking to build a foundation in accounting. Not only that, Corey’s great advice also applies to anyone transitioning into a new role or a new organization. Asking “dumb” questions, staying positive and practicing stress relief: these are just some of Corey’s gems for getting the lay of the land. The AICPA and CIMA continue to make available valuable management accounting reports and tools available for CPA, CGMAs and those considering the CGMA. Check out the following to help you develop new skills and bring best practices to your organization. We asked our bloggers to tell us what they found interesting on the Internet this week. What would you add to this list? Jina Etienne, CPA - I re-tweeted this post from the Colorado Society of CPAs, it generated a lot of interest and comments. “So... what's so great about being a CPA? 5 reasons here.” I even got a response from a former client whom I had recommended get her CPA. She’s finishing up school now and will take the CPA Exam next winter! Still Not Convinced Accounting is the Way to Go? Last week, in his Nov. 2 CPA Success blog post, How to choose a major: Step 1 -- pick accounting. QED, Bill Sheridan, CAE, electronic communications manager and editor at the Maryland Association of CPAs, affirmed that careers in accounting continue to buck trends and supply solid careers for young professionals. Sheridan said, “If you want a job in a profitable industry, study to become a CPA.” He went on to cite the latest data from Sageworks and the Bureau of Labor Statistics, which supports his point: the accounting profession is still sporting huge successes. It is expected to see further growth over the next six to seven years.